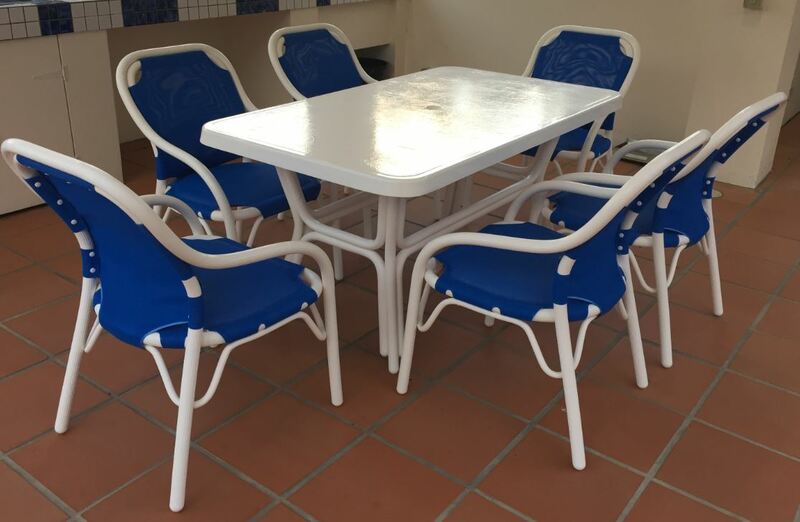 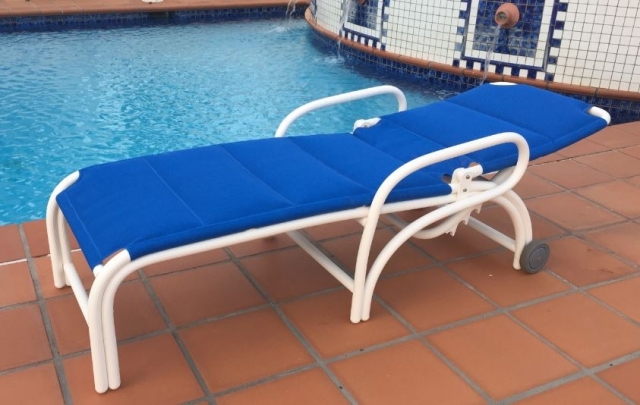 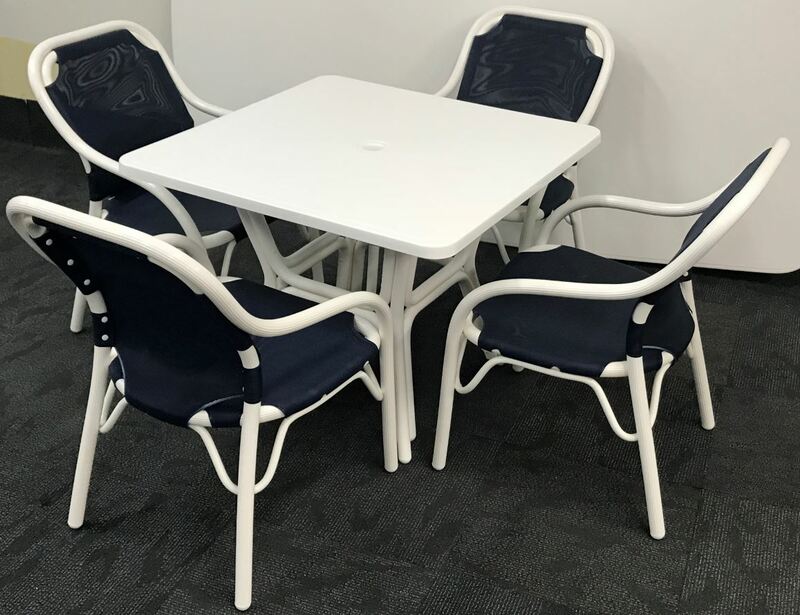 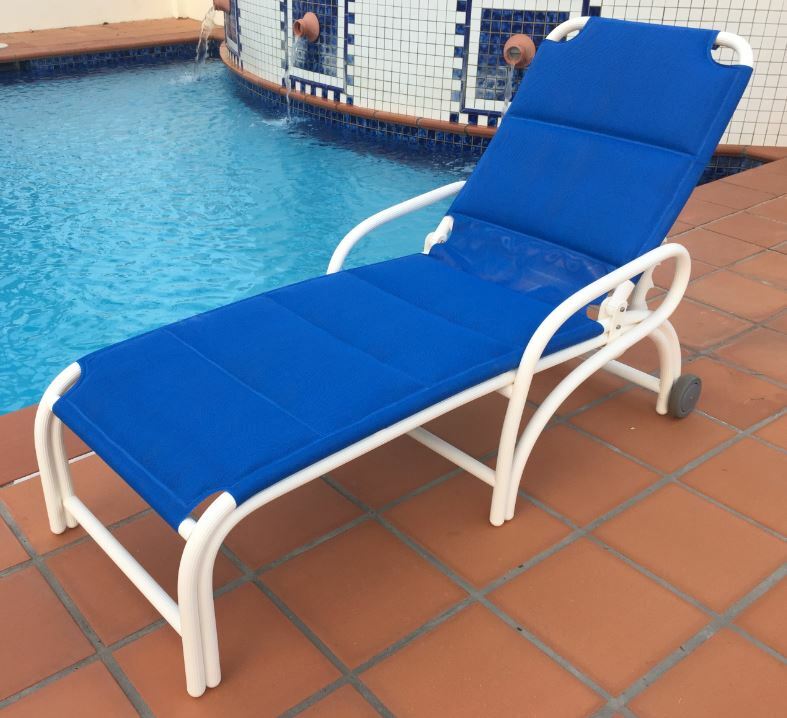 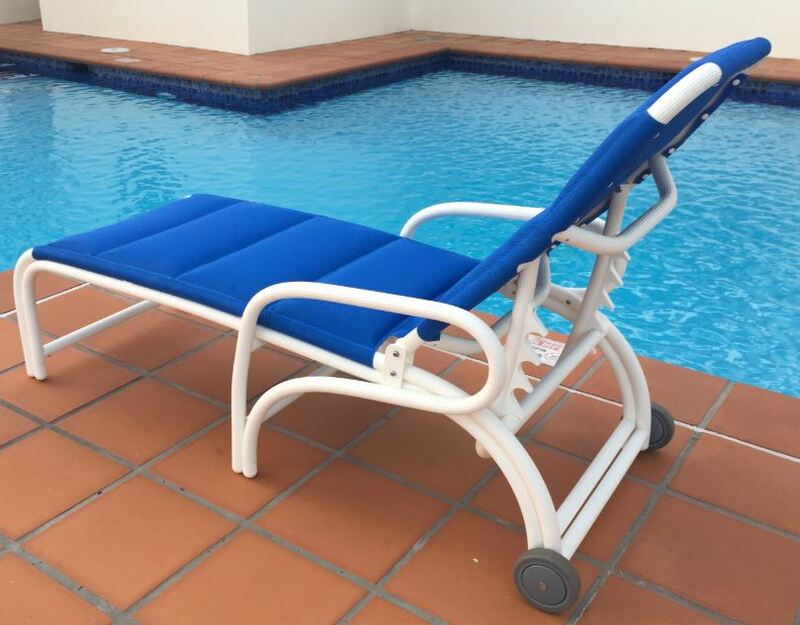 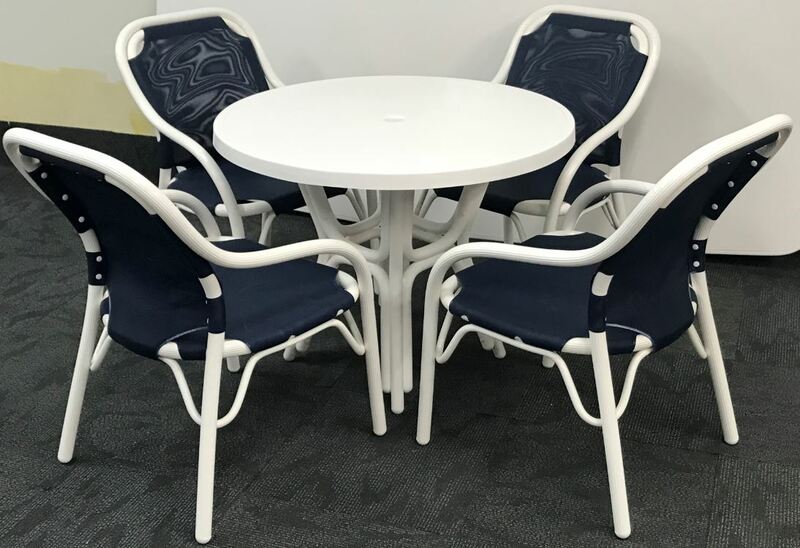 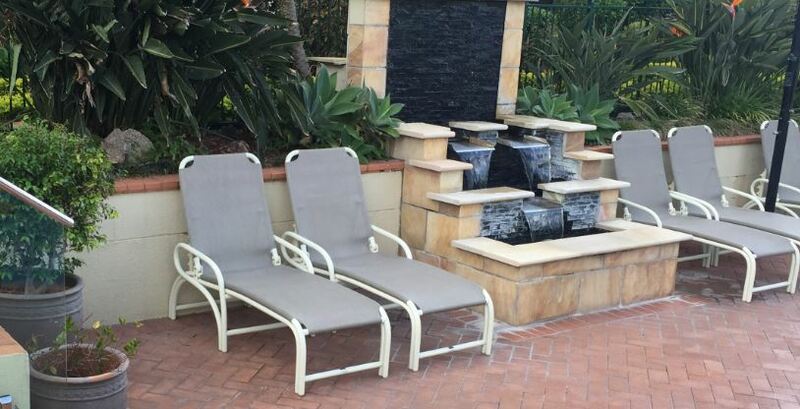 This type of outdoor furniture has definitely stood the test of time and has its own unique properties that gives it great value for money and is the reason that many people still choose this type of furniture over many types of imported products with questionable longevity in a commercial environment that and have minimal options for repair if things go awry. 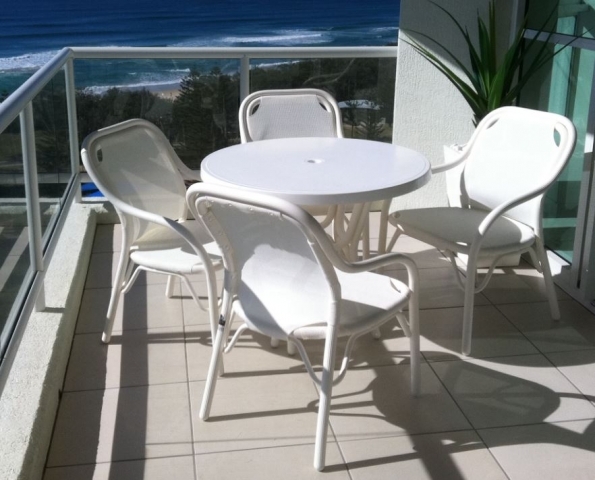 At Pride Casual Furniture the H.D Commercial Resort range of Outdoor Furniture is designed and manufactured on the Gold Coast at our factories using specialised tooling, moulds and processes that enable us to ensure the highest quality and standards are maintained though all phases of production. 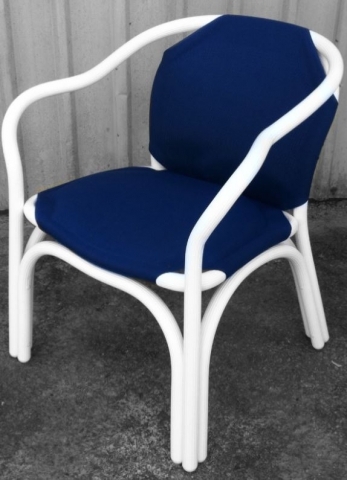 As has been the case since 1983, all Pride Furniture is manufactured using only the best raw materials available and with proven designs that are both comfortable as well as functional – we are the manufacturer of the furniture from concept to completion and not only design and manufacture the frames for our furniture, we also manufacture the slings and cushions so there are no restrictions as to colourway and setting combination options. 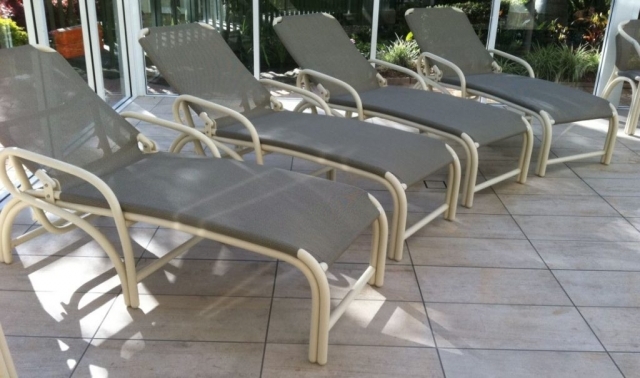 The Pride Resort Commercial Outdoor Furniture collection is made using the highest UV treated and dimensionally stable quality materials available – the specially extruded thick walled PVC furniture pipe we use is manufactured for us to our own formula that allows our furniture frames to be molded into shape while still maintaining the required amount of elasticity needed to endure years of use without failing and will bounce back when held under extended pressure. 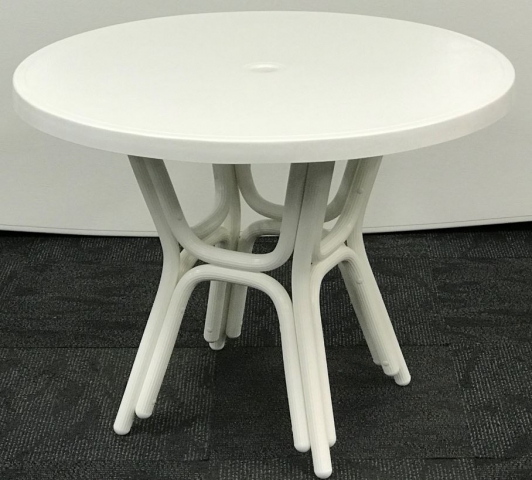 All of the injected molded UV Treated furniture fittings we use, are made to the highest exacting tolerances, and are designed and produced specifically for our furniture applications and are designed to withstand hyperextension and continual use – all of the Resort commercial range of furniture is designed with replaceable domed end wear caps on the feet of tables, chairs and sunlounges for high wear situations and only stainless steel bolts and screws are used in the assembly process. 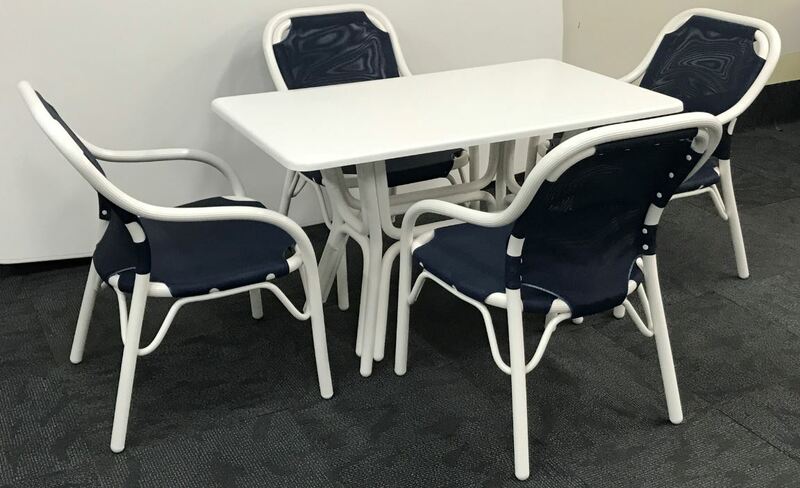 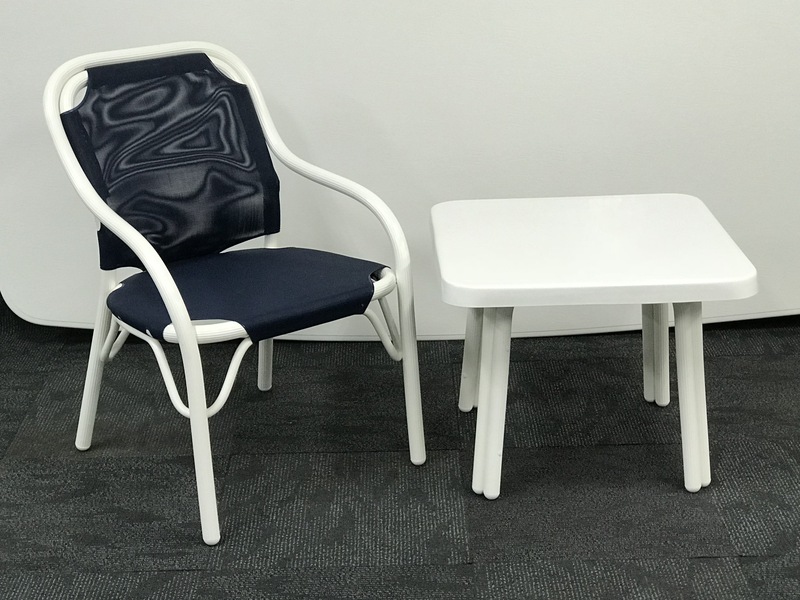 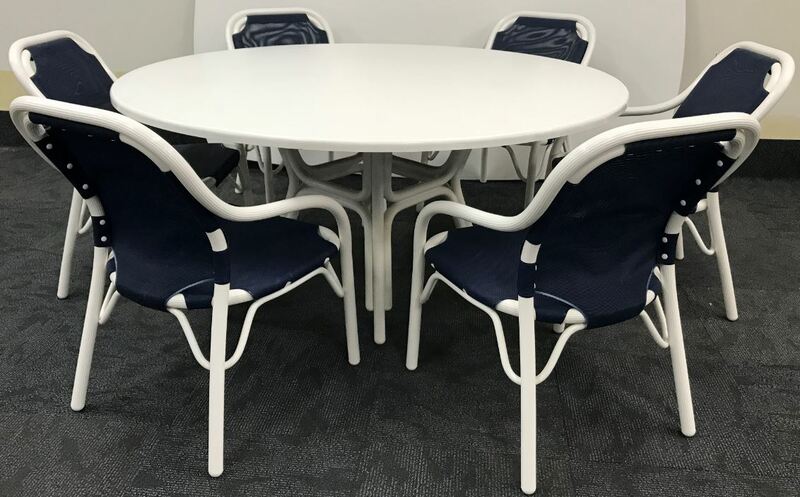 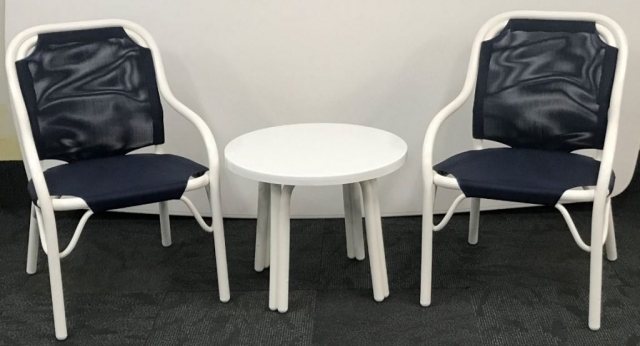 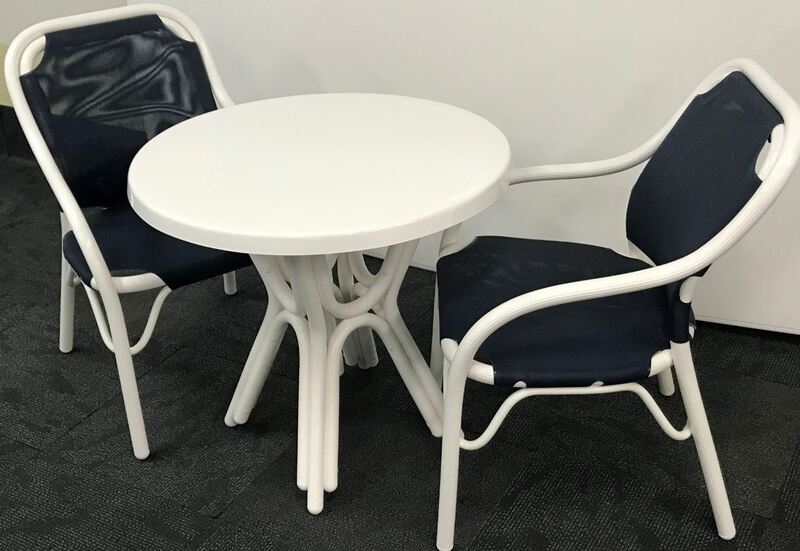 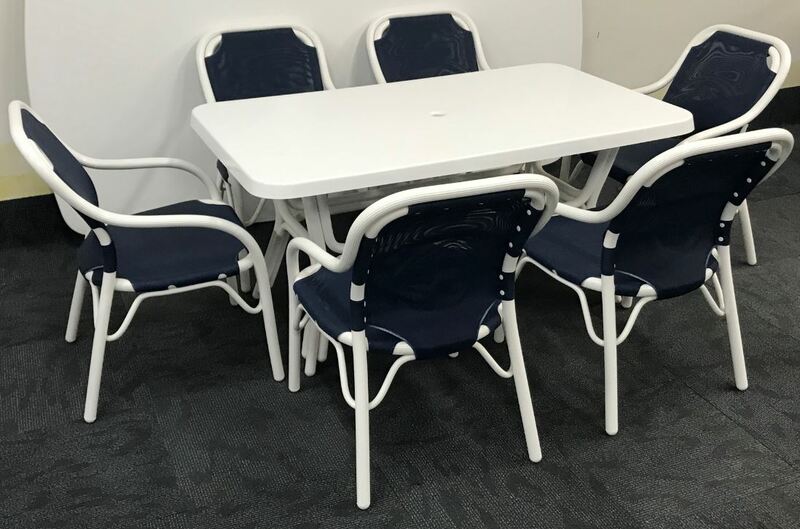 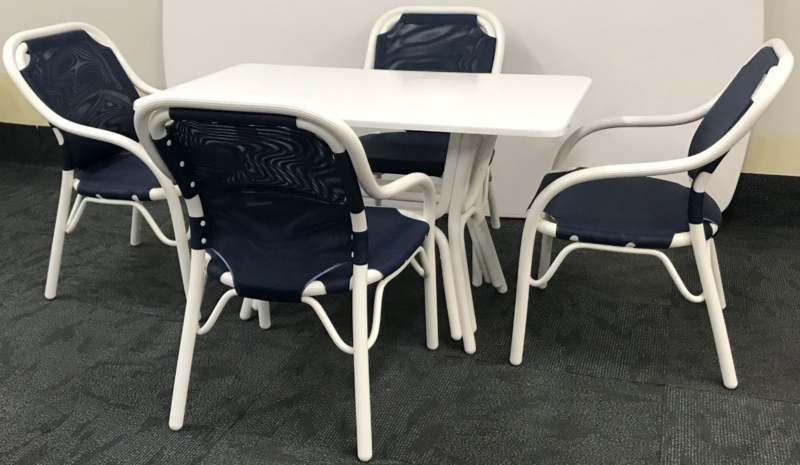 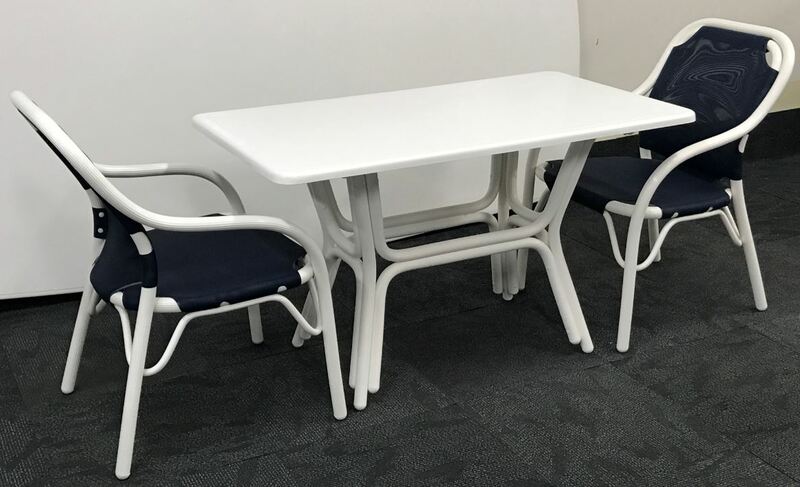 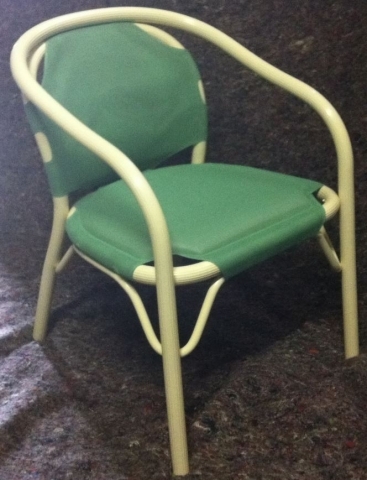 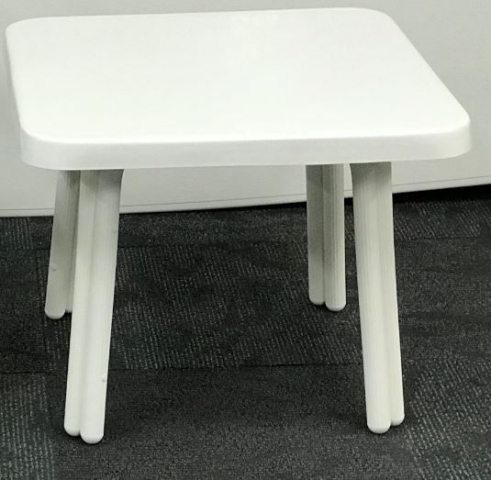 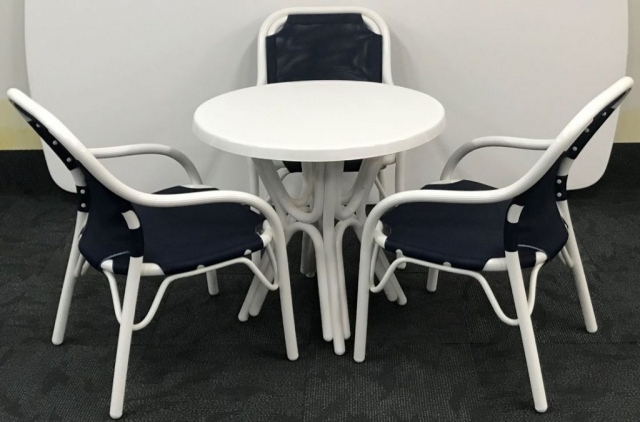 As most of our product is used in high turnover situations, and are usually subjected to some pretty harsh treatment, we have designed our furniture to ensure the furniture we supply will stand the test of time. 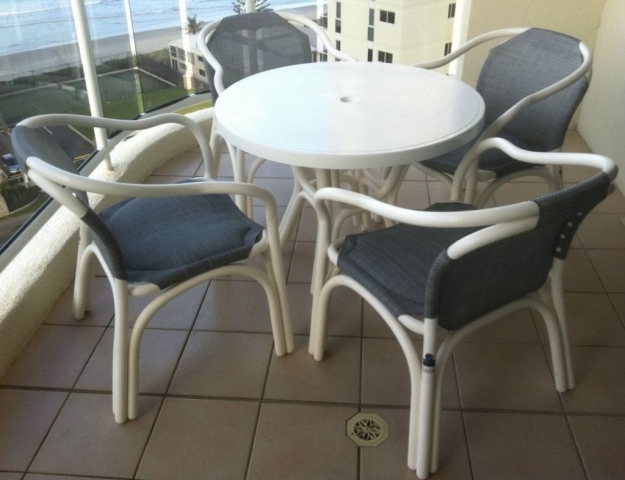 The select group of furniture designs and H.D fittings and thick walled H.D furniture pipe allow our furniture to be subjected to the most hostile salt and sea air environments whilst still giving solid service year in and year out – our furniture doesn’t rust, rot or corrode and In the worst case scenario, our designs allow for future repairs to any part of the furniture, so even after the warranty period has expired, there is always the added comfort in knowing that your purchase will be in use for many more years to come, and as we are the actual manufacturer of H.D Resort Commercial range of Outdoor Furniture range, you will be able to add more furniture in the future knowing consistency of design and quality is assured. 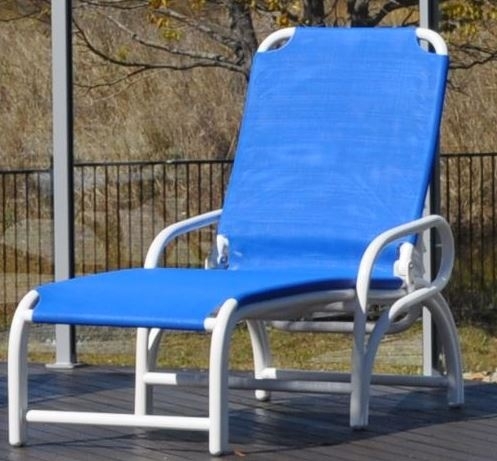 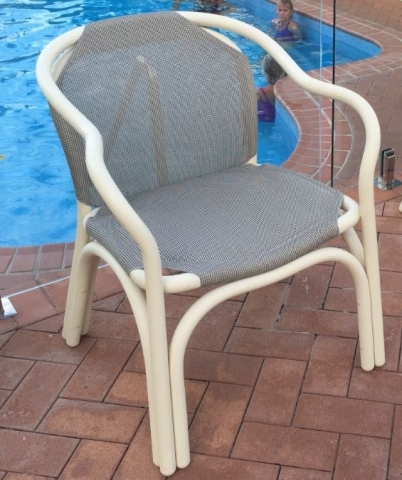 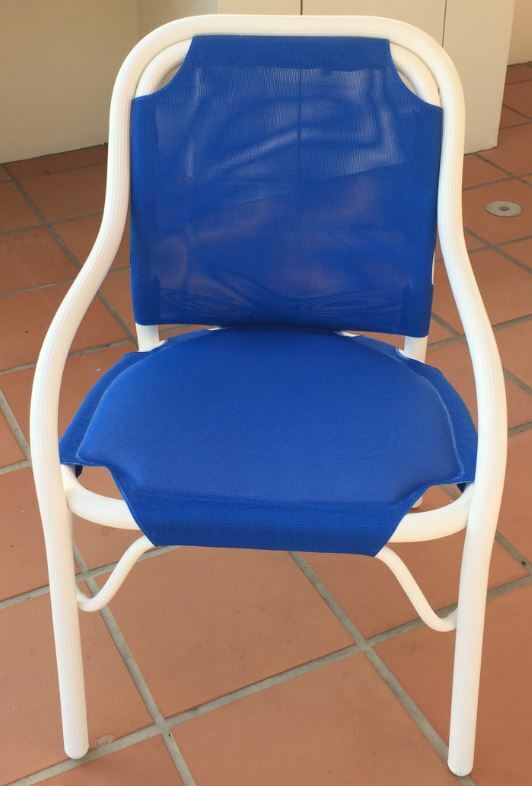 Our UV treated outdoor furniture TEXMESH ® is a product that has been used extensively thought Australia for all types of external applications where structural integrity is paramount and functionality is necessary – owned and distributed by our parent company Leisure Cushions Australia Pty Ltd, TEXMESH ® is designed using a minimum 1000 Denier strand weave that is coated in the highest quality Uv-pvc/ure combination that gives the finished colour coated yarn, a strength and durability needed in a commercial application. 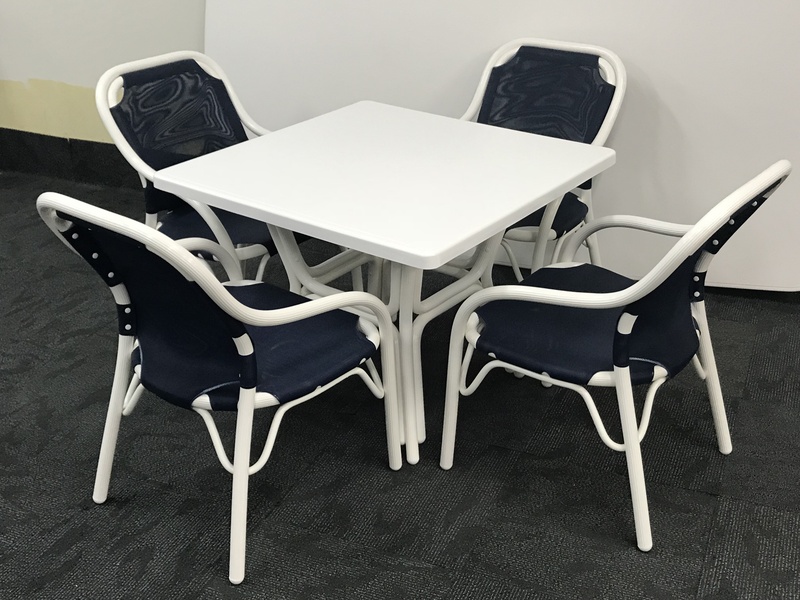 The yarn is woven in such a way that water will pass through and air dry quickly while still offering structured support to the person using the furniture – the mesh is available in many colourways and in many different weave blends. 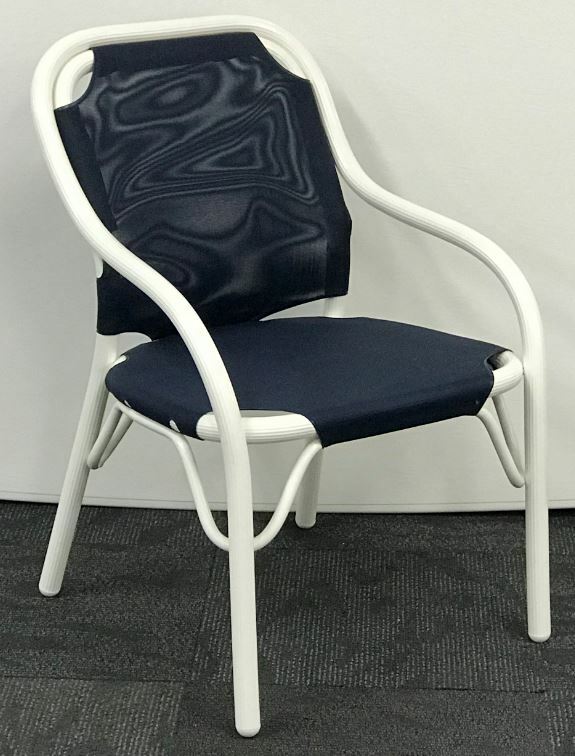 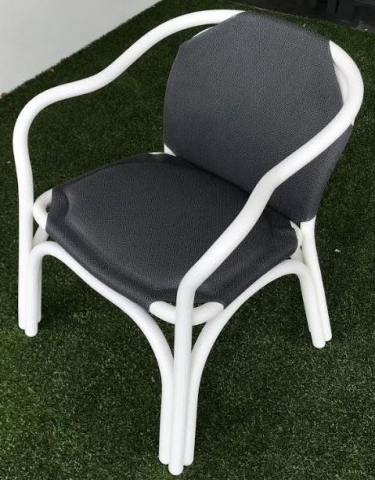 All slings supplied on our outdoor furniture are manufactured using a RF (high frequency) welding process that has exact tooling made specifically to suit the product we build – this process means the slings are manufactured consistent in design, style and sizing – this is particularly important if the furniture needs to be refurbished in the future because replacement slings will always be available. 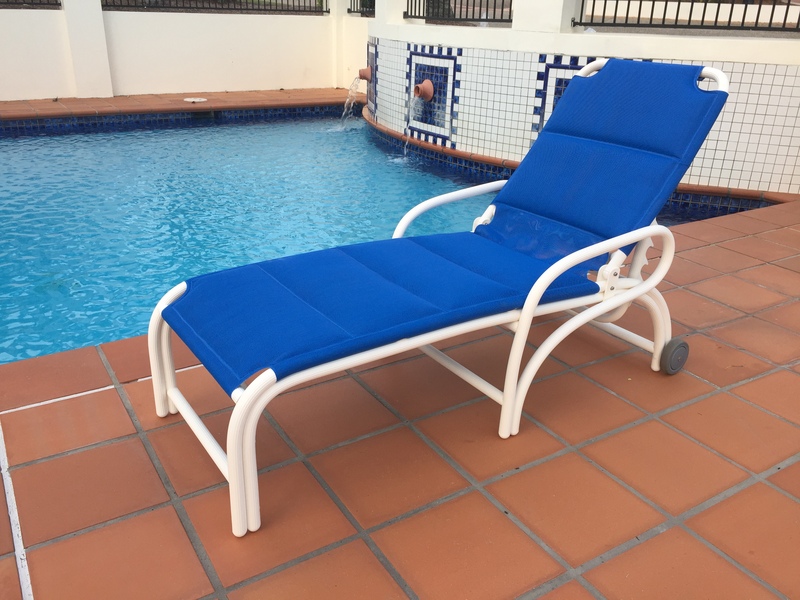 All slings supplied by us are reinforced where necessary and with 25 years’ experience as outdoor furniture, sling and cushion manufacturers – you can be assured our designs are made to last. 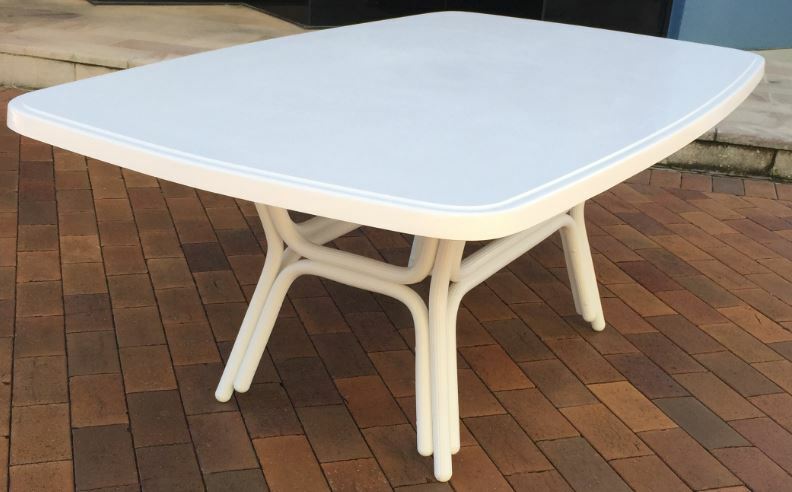 The Pride Commercial Fiberglass Outdoor Table Tops are locally made for us by skilled craftsmen with many years of experience in quality manufacture – using only the best raw materials, our fiberglass table tops have a tough gel coated exterior over a thick fiberglass under layer – this is reinforced with a resin infused internal support board that is then completely glassed over to seal the top – creating a fiberglass reinforced sandwich that makes the top incredibly strong. 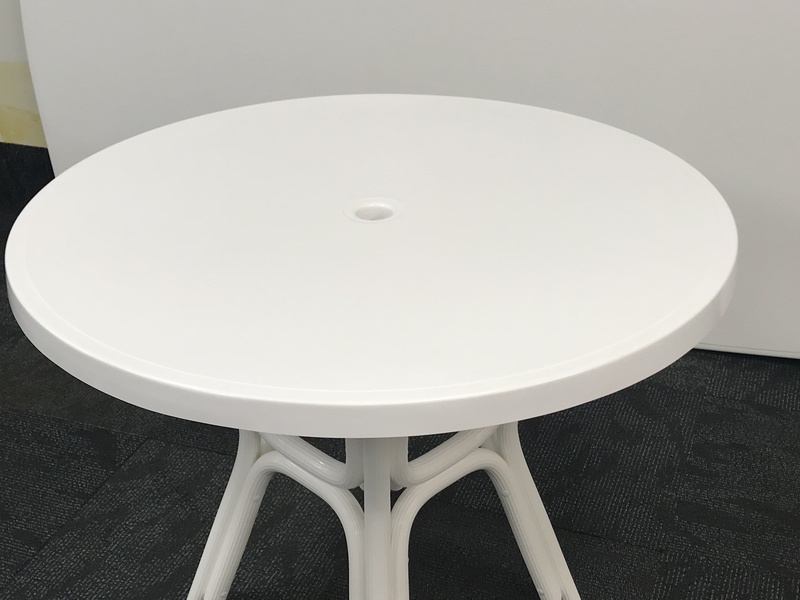 The underside of the top is then resin flow coated to give even more waterproofing properties – all of our table tops are supported by our Pride Resort Commercial legset system. 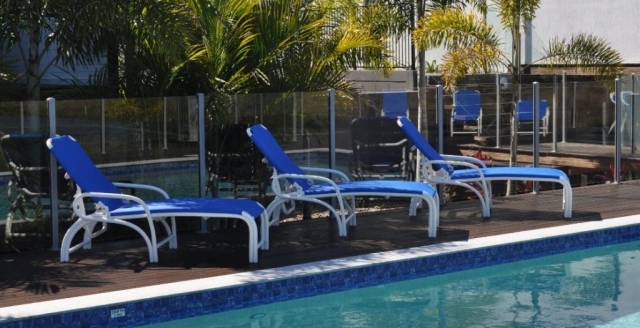 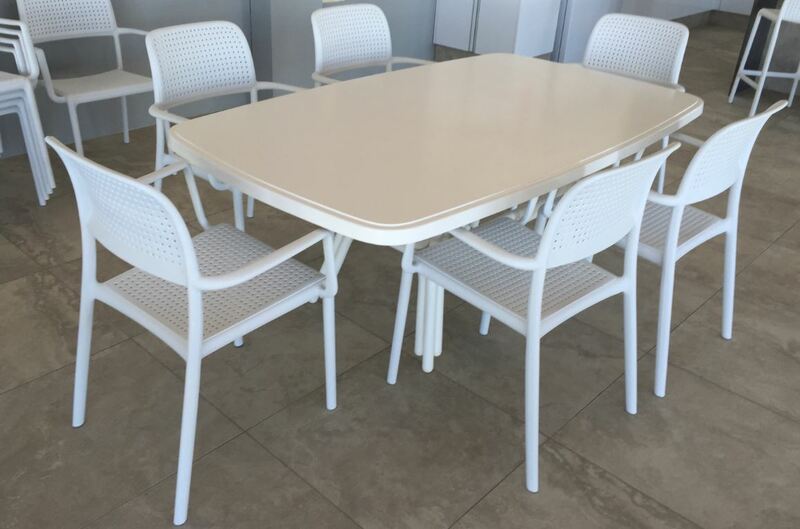 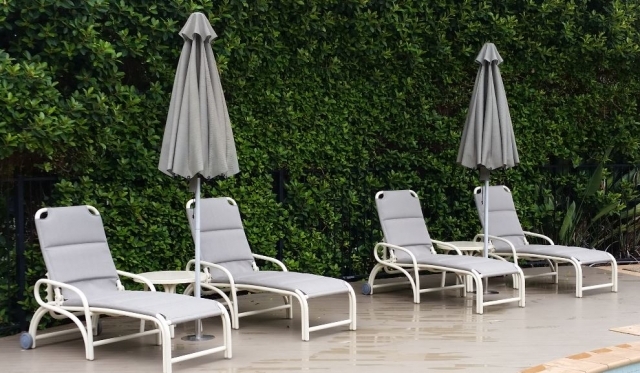 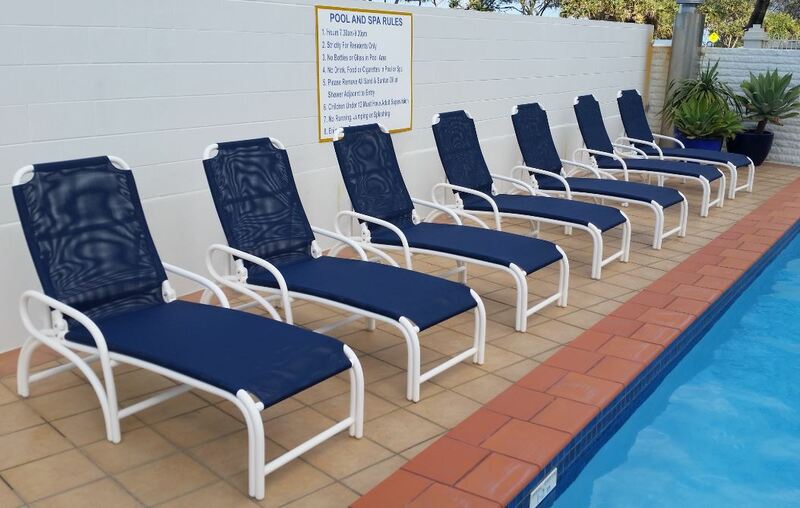 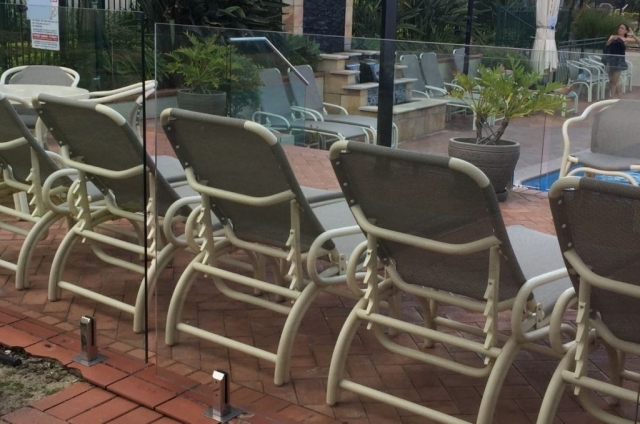 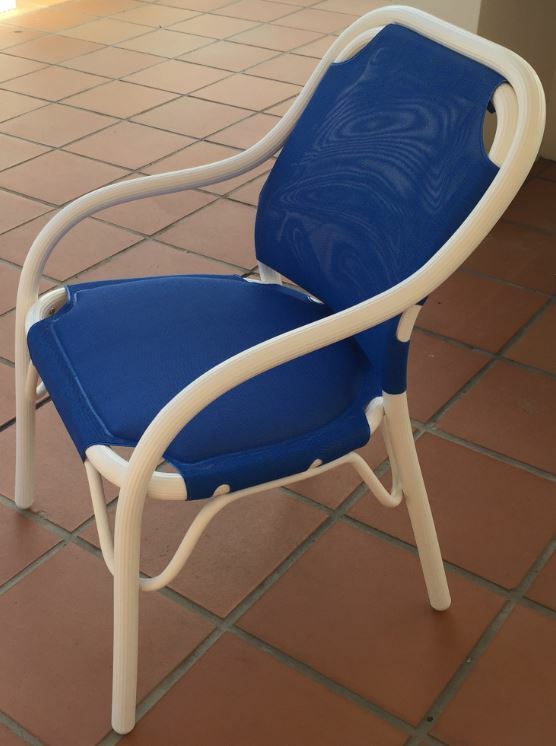 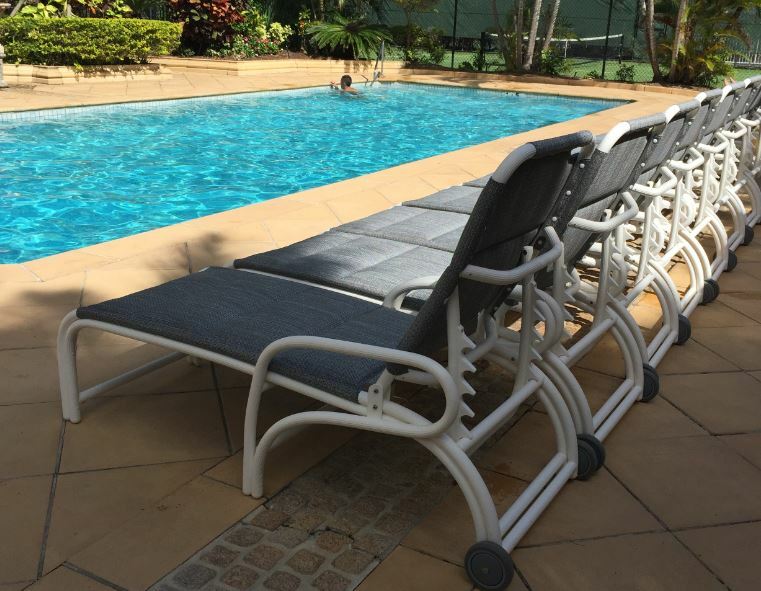 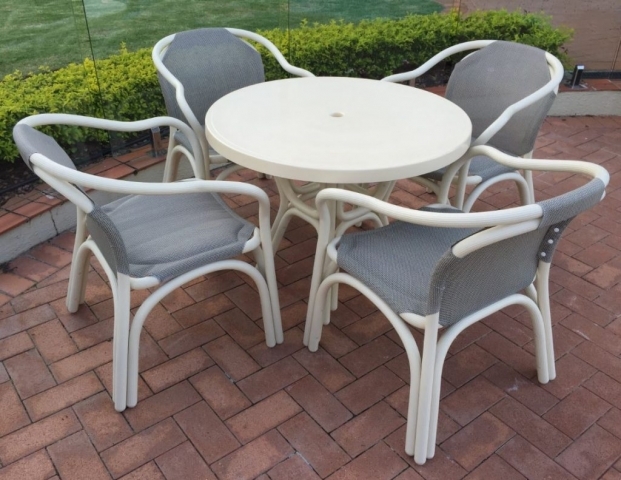 The Resort Commercial range of Outdoor Furniture range comes with a 5 year commercial frame warranty. 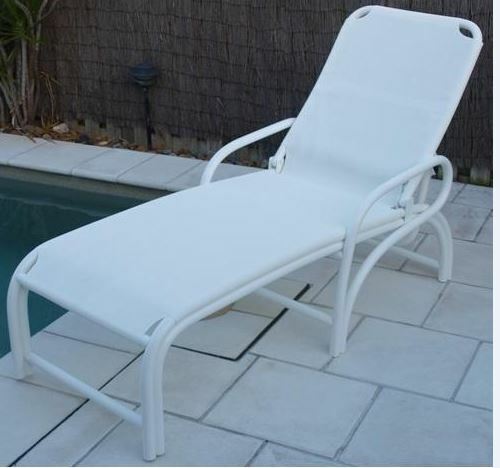 The slings and any cushions used on the furniture are manufactured by ourselves and come with a 3 year manufacturer’s warranty against failure of any manufactured component and the outdoor TEXMESH® comes with a standard 12 month warranty against dimensional or structural failure and 12 month warranty against colour fading or dissipation. 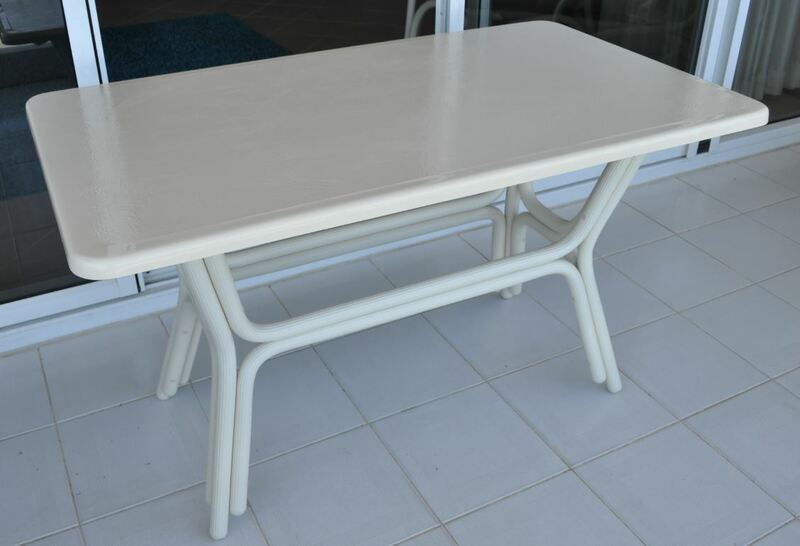 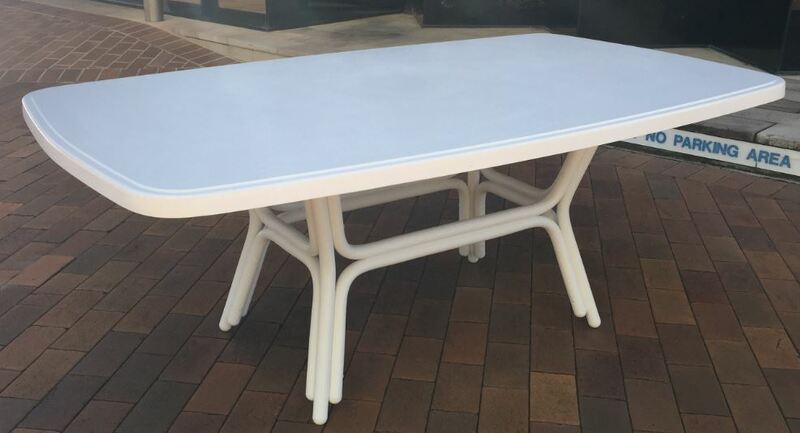 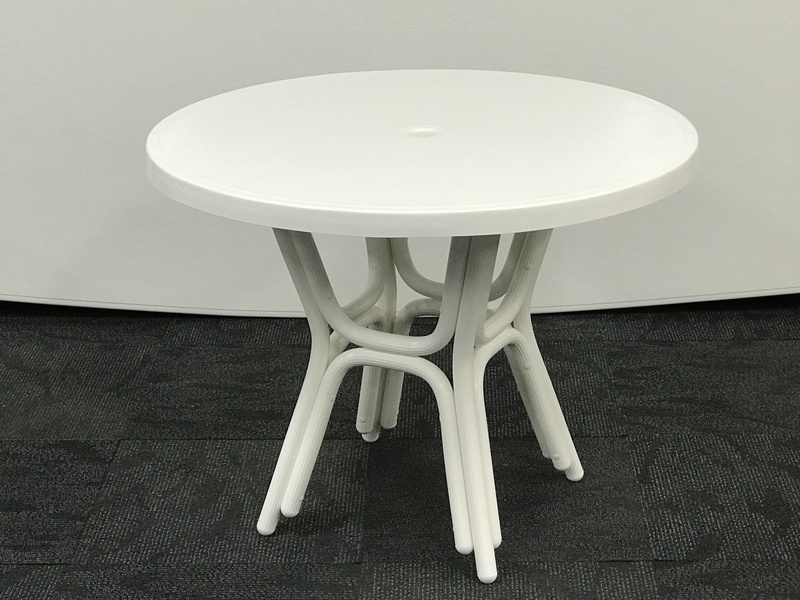 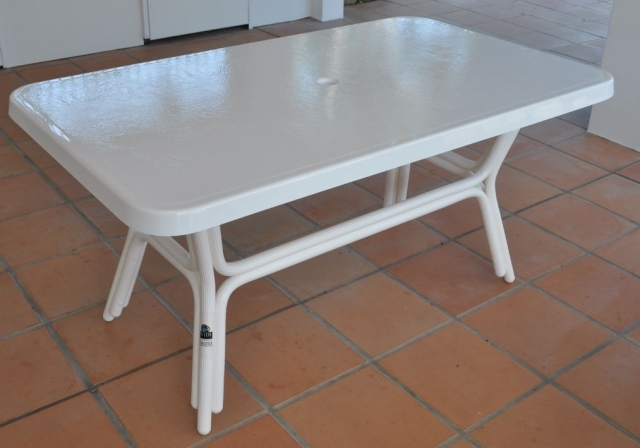 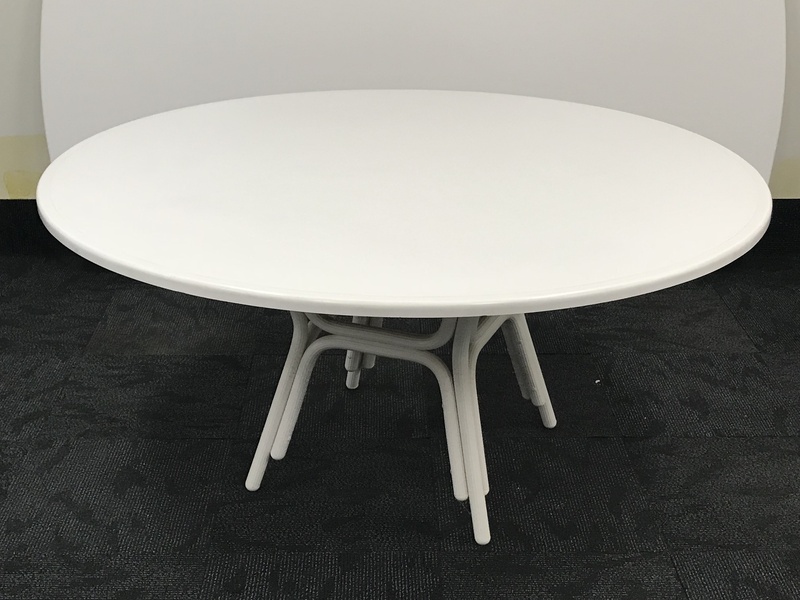 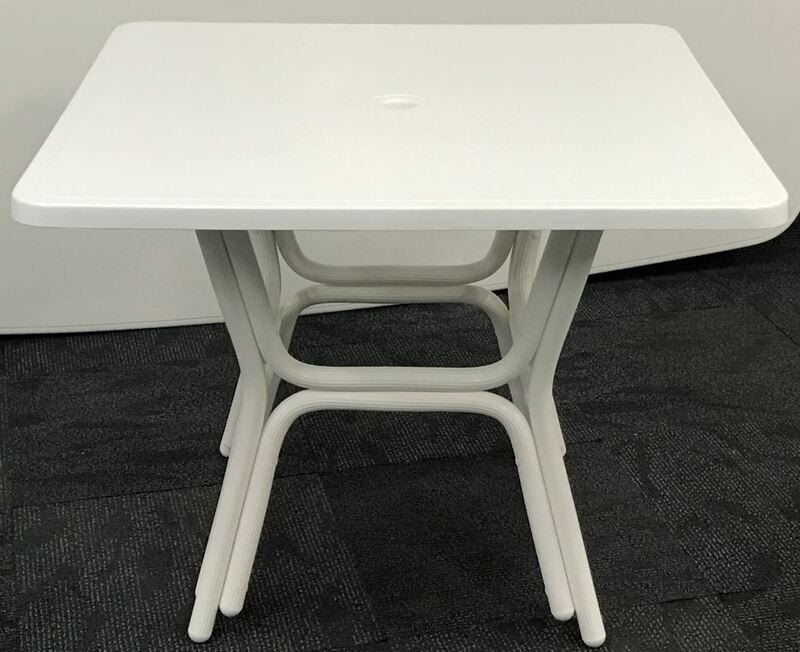 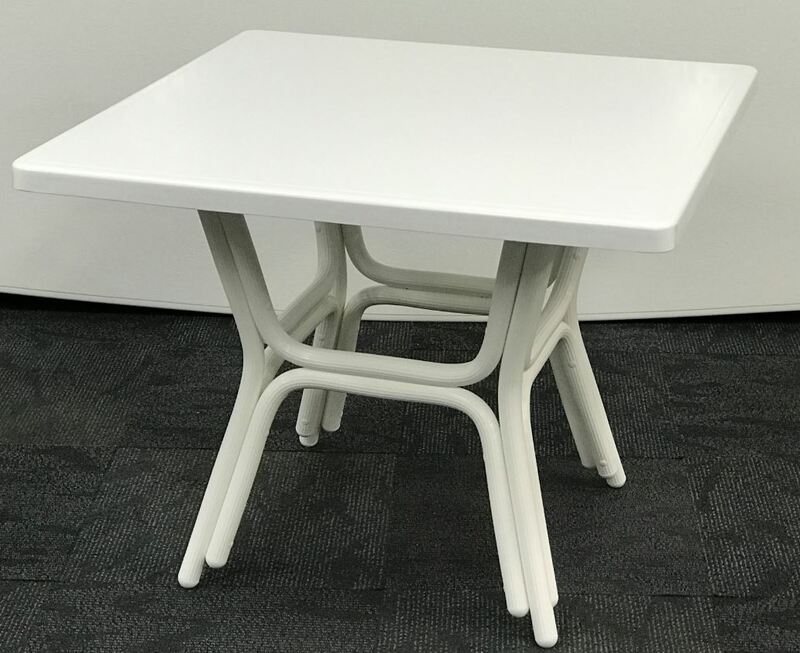 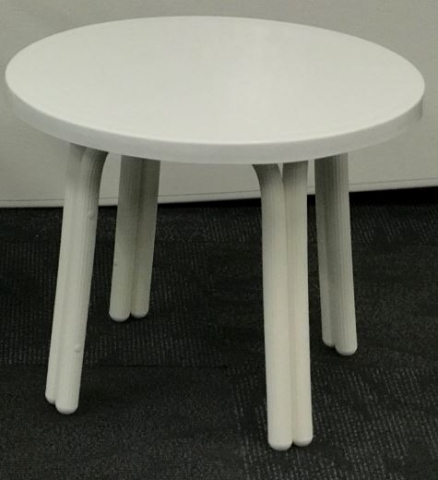 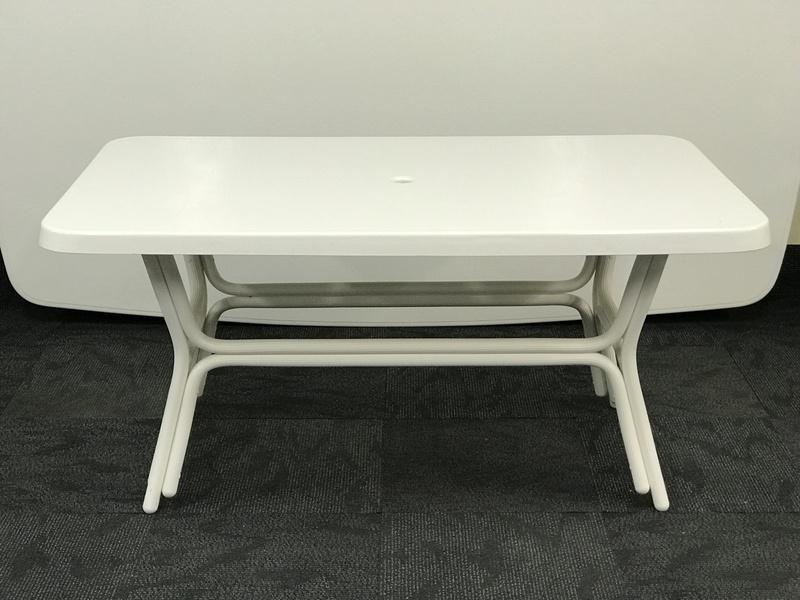 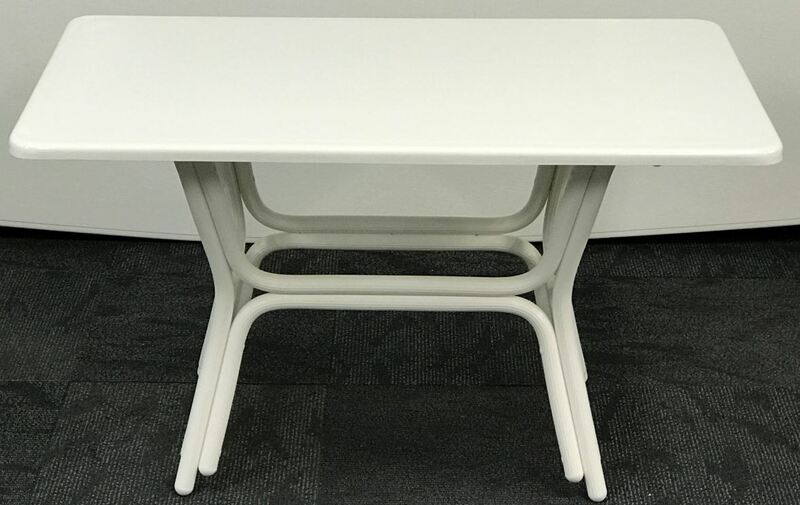 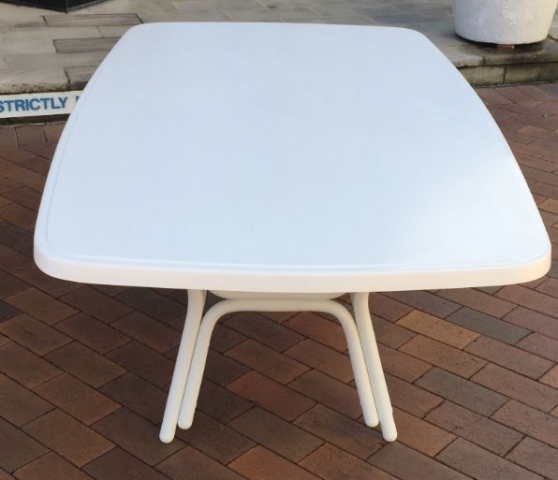 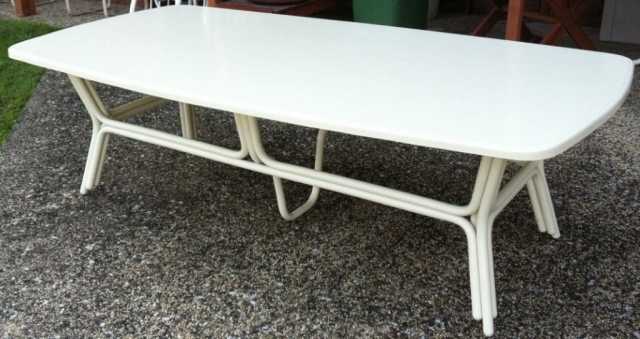 The Fiberglass table tops come with a commercial 2 year warranty.